The Dix Mille Tours du Castellet 2014 was held 3-5 October at Circuit Paul Ricard in Le Castellet, near Marseille, France. The 5th annual historic car racing event was graced with good weather and six classic car grids for the enjoyment of the more than 12,000 spectators present. 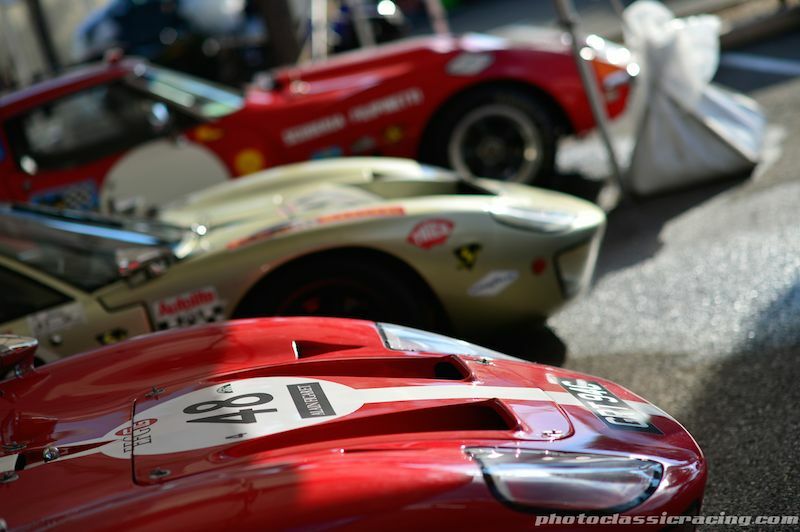 All weekend the Paul Ricard circuit and its famous Mistral straight echoed to the melodious sound of old engines. 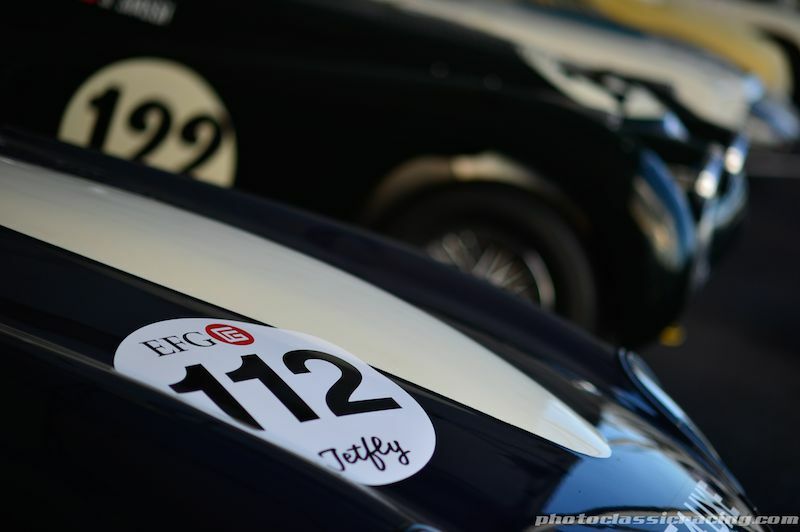 Racing there was plenty but it wasn’t everything at Dix Mille Tours du Castellet 2014, as some 600 collector cars came to join the 260 racers. 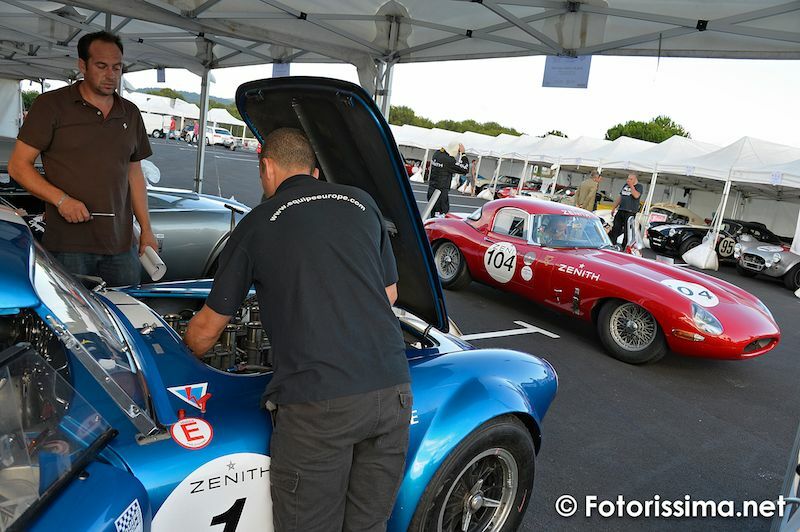 As at Spa-Classic in May and the Grand Prix de l’Age d’Or in June the four Peter Auto grids were present. Classic Endurance Racing with some 90 cars split up into two grids confirmed the success it has enjoyed for over 10 years. 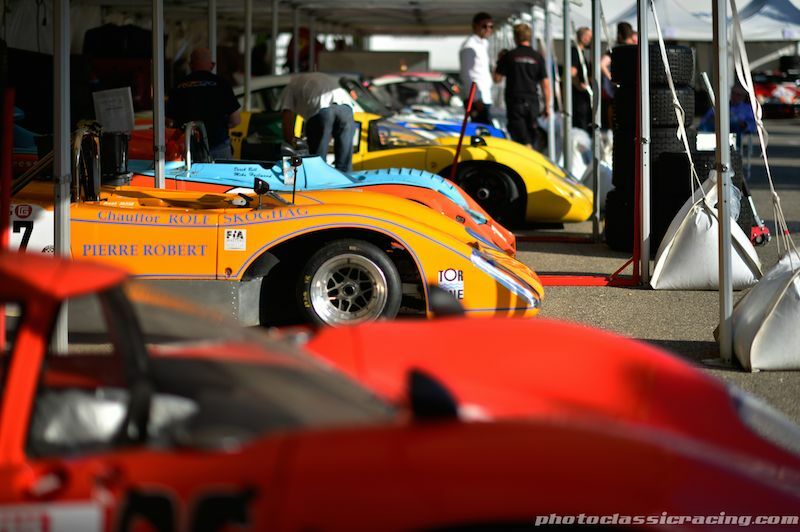 The circuit in the Var hosted its first race for sports prototypes 40 years ago, and back on the French track were some of the cars that had raced in that era like the Chevron B16, the Lola T70 and Porsche 908s. Gérard Larrousse, who drove there in 1974, was at the wheel of a Porsche 911 RSR in the legendary Martini Racing colours. 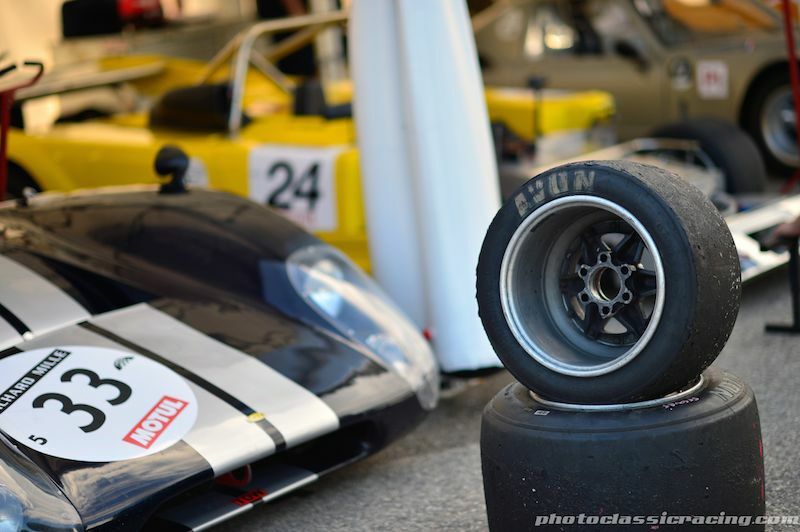 On Sunday the team of Goethe and Hall won in their Lola T70 Mk III B in CER 1 while Dominique Guenat in his Lola T286 triumphed in CER 2. In a very different class, the Heritage Touring Cup paid homage to the long tradition of events for touring cars on the Paul Ricard circuit, where they had done battle in the hands of some of the great names in motor racing like Graham Hill in 1971 or Sébastien Loeb this season. 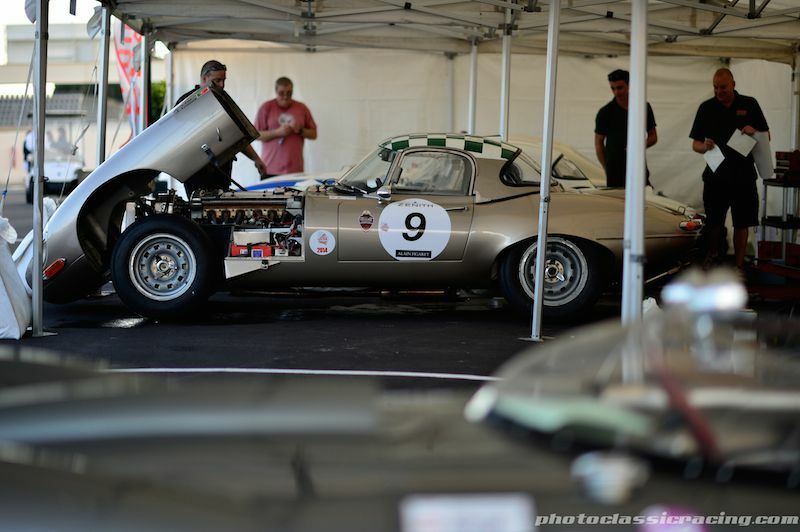 During the weekend there was a fantastic scrap between legendary machines like the Rover TWR Vitesse, the Ford Capri and the BMW 3.0 CSL, which came out on top in the hands of Jean-Claude Basso. The round of the ’60s Endurance was, as its name indicates, the only long-distance event of the Dix Mille Tours. It attracted no fewer than 68 pre-1966 cars. After a race full of upsets Michel Lecourt and Raymond Narac took the flag in first place in their 1964 Shelby Cobra. 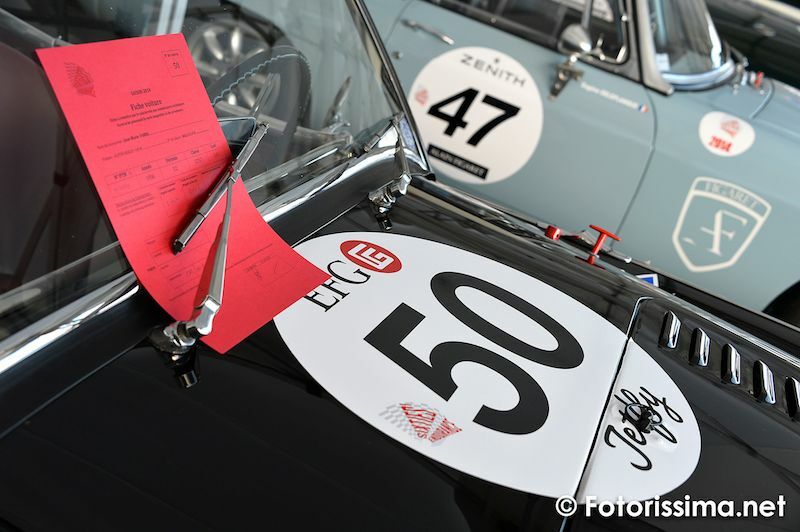 In the Italian pre-1966 Sport and GT event the drivers did battle respecting the strict sporting rules of the Trofeo Nastro Rosso as the value of the cars involved required a certain on-track conduct. 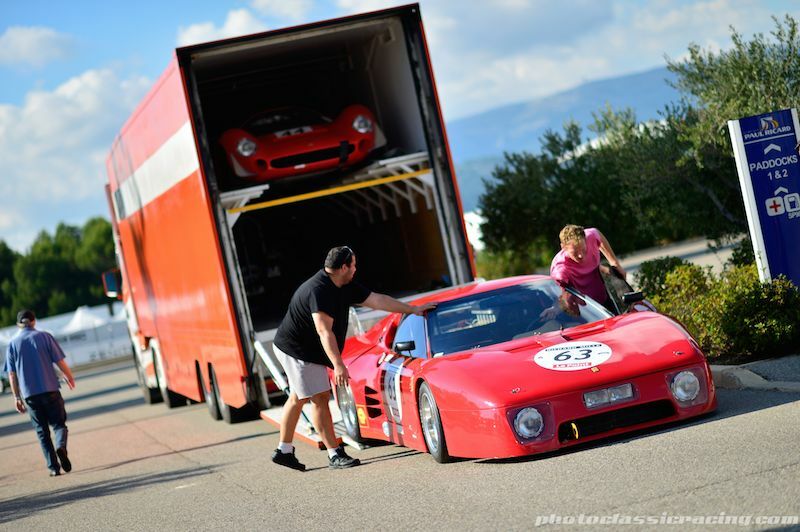 However, this did not prevent Carlos Monteverde, Gary Pearson and Michael Erlich from going at it hammer and tongs with the first two winning on Saturday in a Ferrari 250 LM and the second (alone) on Sunday in a Bizzarrini 5300 GT. 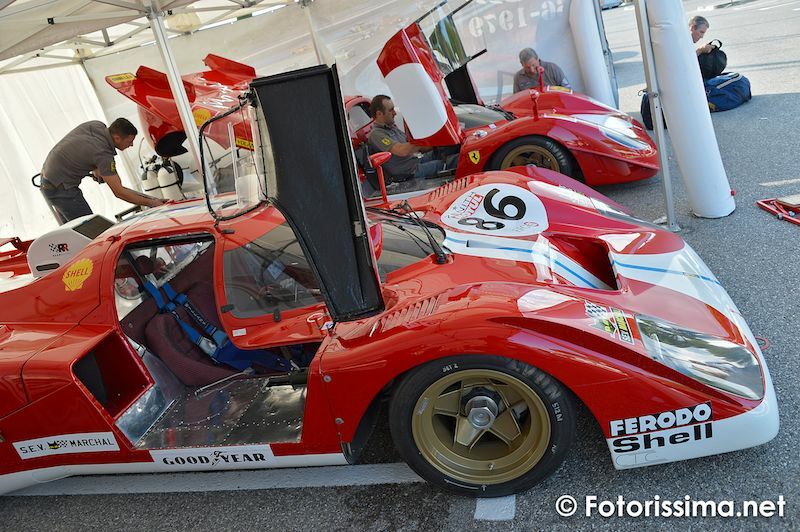 In addition to its usual four in-house grids Peter Auto brought along a field of stunning Group C Racing prototypes. In addition to hitting the magic 300 km/h mark, Katsu Kubota in his 1990 Nissan R90 CK lapped the circuit in 1m 51.696sec, a time that had little to envy that of modern prototypes. The little engines in the Under Two-litre Touring Cars class were given a hammering on the 1.8-km Mistral straight. The outcome of the fight for victory between Stippler-Shaw and singleton driver Alex Furani was decided in the twisty sections, and it was the latter who won in his Alfa Romeo Giulia by a short head. 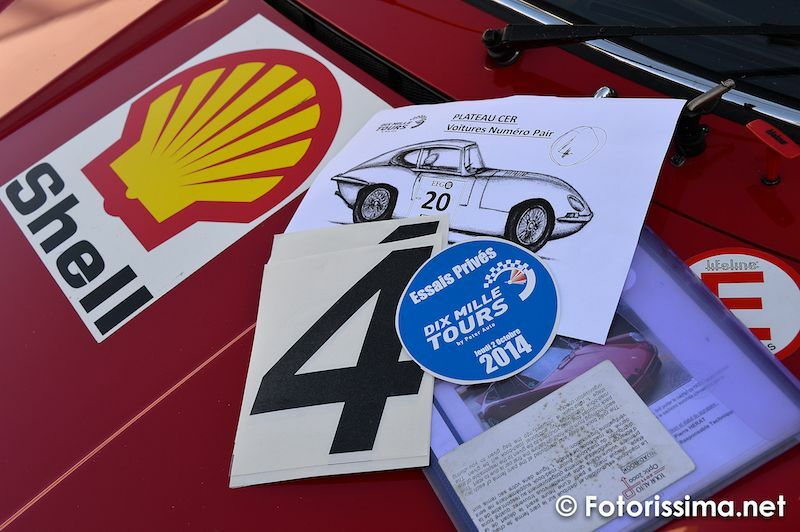 The Dix Mille Tours closed the 2014 Peter Auto season, with the exception of the entrants in Classic Endurance Racing who will be competing in the Algarve Classic Festival in Portugal in two weeks. 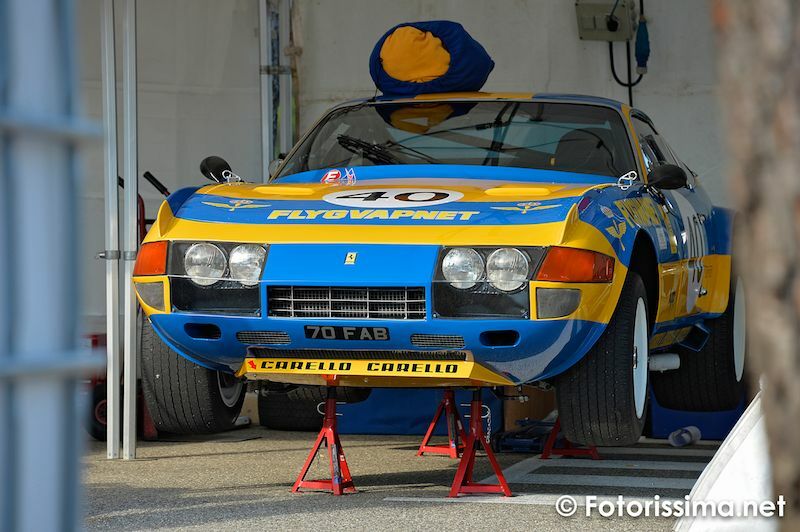 The next meeting on the calendar for historic fans is the Tour Auto Optic 2ooo celebrating its 25th anniversary in six months time, and it already looks like being a cracking event. 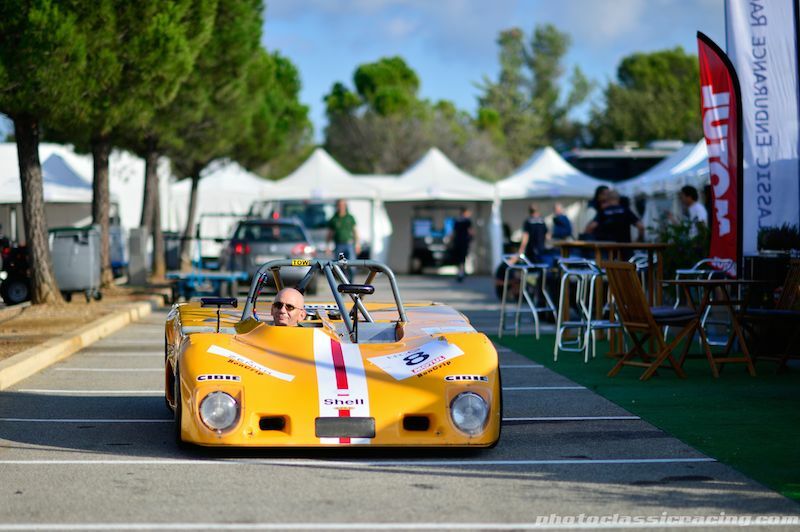 Similar to the 2013 race, we split up pictures from the Dix Mille Tours du Castellet 2014 into two galleries. The first gallery starting below features our favorite images, all displayed in the full-width view of Sports Car Digest, while the second gallery can be found on the last page of the article and gives a comprehensive view of all the photographs. I have to complement the photographer(s?) for this photo gallery. All too often, the photographer’s favorite cars show up over and over and over. This gallery stood out in that the photographer(s) concentrated on capturing the entire event. The action on and off the track was depicted beautifully. Well done! My only complaint, and it is a big one, is that NONE of the photos were tagged. My usual “What the heck is that?” moments went unanswered. Understood. To be honest, we were pressed for time and captioning photos takes a looong time. We’ll be sure to present the full picture (pun intended) next time. That would be My complaint as well. As much as I like guessing, I do like confirmation after all. I know what it is, I would like to know who is driving it. Superb photography! Were there any spectators there, pretty women, interesting mechanics? It’s a circus as well as a contest of speed. I notice many of the trees in the background are tilted, or do they grow that odd way there? Or do you have one short leg? If you tilt the camera to make us think the cars are going uphill, that’s a lie. And irritating. Professionals maintain their credibility by keeping their cameras parallel iwth something vertical in the picture, like trees. wow man. These picture galleries are free. Pretty damn good pictures delivered straight to my computer at no cost to me. When you start paying for them, feel free to complain. 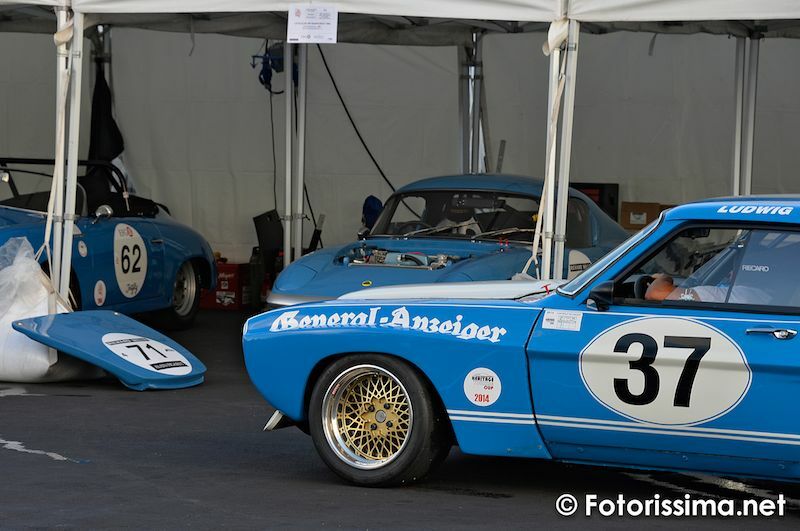 nice pics but these don’t seem to be the svra race in the title. am i missin’ sumpthin’?? Great Photos, wonder why there were no ‘small bore’ cars there. Sprites, Minis, NSU, etc.